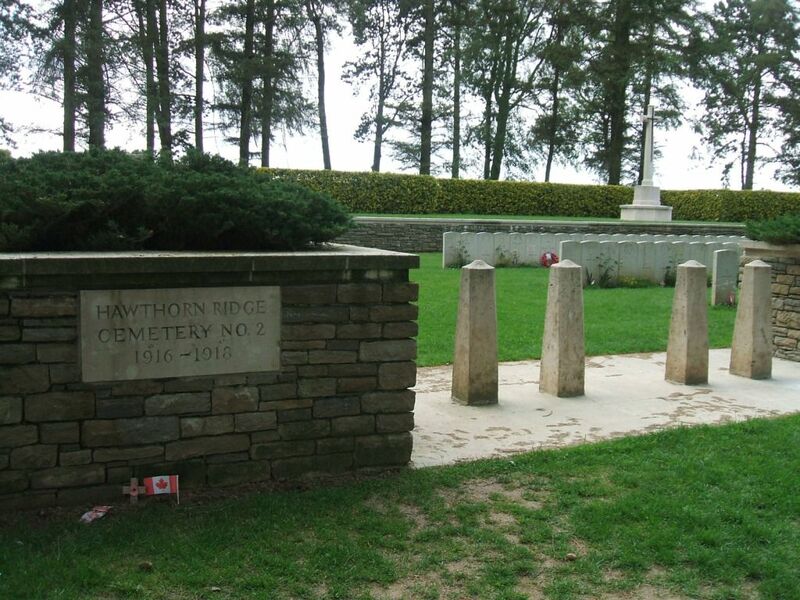 HAWTHORN RIDGE CEMETERY NO.2, AUCHONVILLERS, SOMME, FRANCE. Using the D919 from Arras to Amiens you will drive through the villages of Bucquoy, Puisieux then Serre-les-Puisieux (approximately 20 kilometres south of Arras). On leaving Serre-les-Puisieux, 3 kilometres further along the D919, turn left following the signs for Auchonvillers. At the crossroads in the village centre follow the signs for 'Newfoundland Park, Beaumont Hamel'. Hawthorn Ridge No.2 Cemetery is located within the Park. Hawthorn Ridge Cemetery No.2 is 460 metres South of No.1. It was made by the V Corps (as V Corps Cemetery No.12) in the spring of 1917, and seven isolated graves were brought in after the Armistice. There are now over 200, 1914-18 war casualties commemorated in this site. Of these, over 50 are unidentified. The great majority fell on the 1st July, 1916. The cemetery covers an area of 1,019 square metres and it is enclosed by a low stone rubble wall. 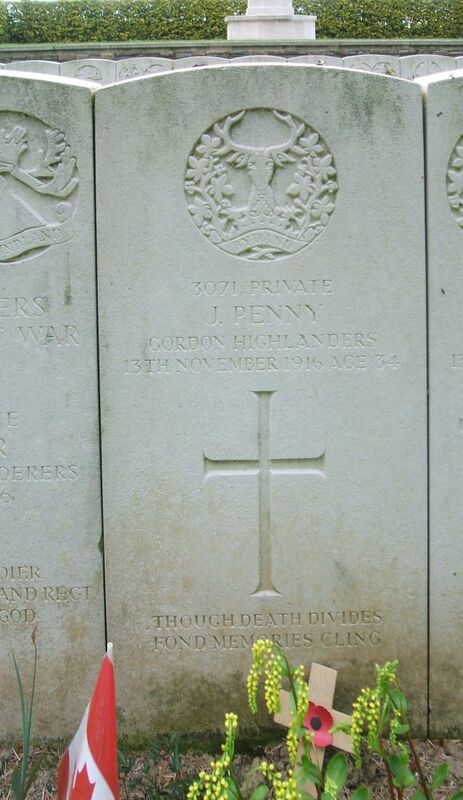 Additional Information: Son of James and Mary Penny, of Fraserburgh; husband of Annie R. Clark Penny, of Craiglea, Fyvie, Aberdeenshire.